Charming & well maintained 3 bedroom, 2 bath home located in a desirable area of Club Course. Features include a large living room with cathedral ceiling, fireplace & wet bar. Master bedroom with built-in drawers. Large walk-in closet in master bath. Den or 3rd bedroom with fireplace and closets. Guest bedroom & bath updated. Remodeled & extended eat-in kitchen with high ceilings & stone tile floors. Inviting & spacious entrance hall. Large deck. Separate laundry room. Small office with window. Lovely landscaped area off kitchen. Detached 2-car garage, heated & cooled. One side currently used as an artist's studio with solid stairs to storage area above. Contact me for more information on this great Sea Pines home or other Hilton Head Island area properties. You will not believe the setting and the view from this 4 BR, 3.5 BA home on a bluff on Baynard Cove Road. This is an oversized lot with a large pool & attractive landscaping. There is a dock and seawall. Features include: large living room, dining room, kitchen/family room/sunroom. Large 2nd floor office could be 5th bedroom or den/office/library. Wood burning fireplace. Laundry room. Large cedar closet. Very good bedroom separation. 2-car garage and circular driveway. Permanent open space on one side. Bike to the beach! Charming & spacious 4 BR, 4.5 BA home located on the 14th fairway of the Atlantic Dunes Golf Course. Modern floorplan with high ceilings in the living room. Tall windows everywhere making the entire home very bright & cheerful. First floor master suite, spacious eat-in kitchen, laundry room, fireplace , large deck & nice foyer. Lovely large pool with spa & generous decking. 2-car garage. Incredible panoramic ocean & sound views from this second floor 3 BR, 2.5 BA villa in South Beach Club. Very well maintained, remodeled kitchen with built-in credenza, gas fireplace, wet bar, 10 ft ceilings, laundry room & two balconies. Private boardwalk to pool & beach. Unique & charming "Low Country" style home on lagoon in Harbour Town. WALK to golf, new Clubhouse, tennis and all the amenities of Harbour Town. This 4 BR, 3.5 BA PLUS den/study has never been rented. Beautifully furnished & well maintained. Private pool. Wood floors, fireplace, 2-car garage and more! A truly magnificent property on 1 1/2 lots on prestigious Calibogue Cay. Built in 1977 and totally remodeled and enlarged by Ken Goss in 1998. 4 bedrooms, 5 1/2 baths, his and her baths with heated tile floors and walk-in closets, den, office/family room, putting green, heated pool and boat dock. Too many features to list. Must See. SPCC membership available at a favorable price. $2,395,000. MLS: 223107. Most attractive home on the 17th fairway of Robbers Row Golf Course in Port Royal Plantation. Very large family room with brick fireplace and lots of windows facing the golf course. All rooms including laundry are very large. Other features: a fireplace in the living room, eat-in kitchen with island, separate dining room, skylights and so much more. Very well priced. MUST SEE! $699,000 MLS: 226183. Beautifully remodeled 2 bedrooms, 2 bath villa plus den, plus Carolina Room, in desirable Briarwood complex. Plantation shutters in both bedrooms and den, gorgeous tiled floors, special fireplace, wet bar, private setting with golf course in distance, charming atrium. Great bedroom separation. Large pool and cabana on premises. Must see! SPCC Membership available at a favorable price. $579,000 MLS: 224193. Charming home on a gorgeous, large marsh front lot. Perfect 2nd or permanent home. Lovely courtyard entrance with tiled foyer leading to a spacious LR/DR with new carpeting. Total 3 bedrooms, 2 1/2 bath. Two of these bedrooms with 1 1/2 bath have a separate entrance and would be an ideal guest suite. Large master bedroom with fireplace facing marsh. Sunroom plus den with fireplace. Nice kitchen with eat-in area. Separate laundry and a two car garage. $699,000 MLS: 222799. Located just inside the secured main gate to Sea Pines Plantation, in a lovely neighborhood with a feeling of community, is a good building site for a primary or second home. It is the lowest priced lot in Sea Pines. $84 per month includes maintenance of pool, pool house, Jacuzzi, tennis courts and common grounds. Build now or later. See it today! $329,000. MLS: 222082. Beautiful well maintained property facing tidal marsh with exceptional views of marsh, country club's 18th fairway and lagoon from every room in the house. An open floor plan designed for easy living and entertaining: spacious living room with cathedral ceiling, eat in kitchen adjoining separate dining room and sun room, downstairs master with large walk in closet. $925,000 MLS: 226529. Charming 3 bedroom, 3 bath home on a beautiful lagoon, in a particularly nice neighborhood in Sea Pines. Large family room, office/library, eat-in kitchen, wonderful big windows throughout. Hurricane shutters on front and sides and hurricane proof windows. Beautiful backyard, 2 car garage and great curb appeal. $739,000 MLS: 228063. Gracious and beautiful home on large lagoon in secluded area off Calibogue Cay Road. 3 Bedrooms, 2 Baths plus heated and cooled hobby and storage room. Screened porch, large deck for entertaining plus deck off Master Bedroom. Fireplace in Living Room and Family Room, separate Dining Room. Attractive landscaping, lagoon with bulkhead. HVAC and Water Heater 2004. Potting shed. Tennis and pool at Calibogue Club. SPCC membership available at an attractive price. $699,000 MLS: 234248. Charming top floor 2/2 villa with breathtaking views over the 18th Green of CC to marsh and Cal. Sound. Wood floors, mirrored walls, corner fire place, very light and bright, balcony with tiled floor and incredible views, lots of storage, separate laundry and attractive build-ins. Waterford chandelier included. $449,000. MLS: 231388. Walk to the beach from this well maintained 1st floor villa located closest to beach access. No need to find parking. Never rented. Amenities: 2 pools, 10 tennis courts, kids playground and racquet ball. Please note that there is an on-site rental company. At time of listing this is the lowest priced one available. Hurry. $218,000. MLS: 231308. Simply gorgeous 3 bedroom, 3 bath plus den townhouse with 1-car garage. This villa sits on a large lagoon with new wood floors, new kitchen and bathrooms. Living Room with cathedral ceilings and tastefully furnished, enlarged deck with the most beautiful views from all rooms. A MUST SEE! $599,000 Furnished. MLS: 232092. Charming 2 bedroom, 2.5 bath townhouse on incredible large lagoon providing beauty for the eye and privacy for happy living. End unit, 1-car garage, enlarged deck. Tennis and pool on premises. Must see! $509,000 Furnished. MLS: 235799. This large 4 bedroom, 5.5 bath ocean front Mediterranean style residence, designed by Merrill Pasco and built in 2000 by Ellis Construction is a MUST SEE! With the approximately 5,000 heated square feet, there are the unique features of an antique carved entrance door, impressive foyer with antique crystal chandelier, custom made curved oak staircase with hand crafted wrought iron railing...$5,875,000 MLS: 233535. Contact me for more information on this Port Royal Plantation home or other Hilton Head Island area properties. Contact me for more information on this Bluffton home or other Hilton Head Island area properties. Contact me for more information on this Hilton Head Plantation home or other Hilton Head Island area properties. Contact me for more information on this Sea Pines villa or other Hilton Head Island area properties. Contact me for more information on this Sea Pines homesite or other Hilton Head Island area properties. Contact me for more information on this Sea Pines home or other Hilton Head Island area properties. Contact me for more information on this great Shipyard villa or other Hilton Head Island area properties. 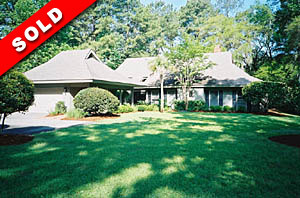 Contact me for more information on this home or other Hilton Head Island area properties. Contact me for more information on this Wexford home or other Hilton Head Island area properties. Contact me for more information on this great Wexford home or other Hilton Head Island area properties. This light & bright 3 BR, 3 BA home is just steps away from the ocean! First floor master, one-level living room with fireplace and built-in shelves, large eat-in kitchen, 9 & 10 ceilings, separate laundry room, two car garage and lovely patio for outdoor entertainment. Contact me for more information on this great Port Royal Plantation home or other Hilton Head Island area properties. Lovely oversized 0.64 acre lot in Heritage Woods. The dimensions are 150 x 205 x 169 x 195 with the 205 fully bordering a beautiful lagoon. The lot has two partial views of Harbour Town Golf Links (the 11th and the 8th) and is graced with magnificent Live Oaks. This beautiful lot is one of the few remaining oversized lots around the Harbour Town Golf Course available for building! Contact me for more information on this great Sea Pines lot or other Hilton Head Island area properties. Contact me for more information on this great Sea Pines villa or other Hilton Head Island area properties. This exquisite home is a MUST SEE!! 3 bedrooms, 3 full baths. Enjoy magnificent sunsets from charming pool bar. Library with fireplace & built-ins, screen porch, living room with fireplace & high ceilings, Master suite downstairs, 2 guest rooms plus family room upstairs. Dream kitchen, kitchen office, wet bar & butlers pantry and so much more. Charming 2 BR/2BA PLUS den home in great location and special cul-de-sac street within Greenwood Forest. Oversized patio lot with additional open space creates the feel of a big lot in a beautiful and tranquil setting. Bordering lagoon and view of 6th fairway of Harbour Town Golf Links. Built on a corner lot with extra windows makes the home very light and bright. Great curb appeal. All on one floor. Lg. screen porch with skylights. This charming 3 bedroom, 2 full bath & 1 half bath plus den home is located on one of the best lots overlooking Harbour Town Golf Links. Livingroom with gas fireplace & cathedral ceilings. Gorgeous sun room with high ceilings & large windows capturing the incredible view. Modern kitchen, wood floors & smooth ceilings throughout. Very large deck with grill. One-car garage. Charming older home on the 14th fairway of Atlantic Dunes golf course overlooking large lagoon & fairway in a park like setting surrounded by great homes and nature pure. A birder's paradise. 3 BR, 2.5 BA, 2662 sq ft, screened pool, circular driveway, 1-car garage with extra storage room. Buy now, rent short term and later tear down to build your dream home in this desirable neighborhood not far from the beautiful beach. Charming 2 bedroom, 2 bath plus den villa in an incredibly beautiful setting facing large lagoon & 9th fairway of Heron Pointe Golf Course. Desirable end unit with extra windows. Very nicely updated kitchen and bathrooms, Silestone counter tops. Ceramic tile floor in all areas except bedrooms. Mirrored entrance hall. Conversion from screen porch to Carolina room added 245 heated square feet. Lovely brick pavered atrium allowing for individual landscaping ideas. Quiet neighborhood, with a beautiful pool on premises. All information is deemed accurate but not guaranteed and should be independently verified. You may not reprint any part of this web site in part or in whole without expressed permission of Ingrid Low.